Beautifully updated studio in highly desirable Cap Hill! High ceilings, exposed brick, hardwood floors & custom built in closet system. Optimized space w/ built-in office space and reconfigurable closet spaces. This unit is truly space optimized and comes with all furnishings if desired. Black out shades & a daytime sheer on all windows. New paint, crown molding, fridge, dishwasher and microwave. No neighbors below & this is a corner unit with ample natural light. Technically garden level but just barely. Feels cozy & private. Interior access door & a 2nd semi-private street level access door shared w/ one other unit, ideal for those not wanting stairs. 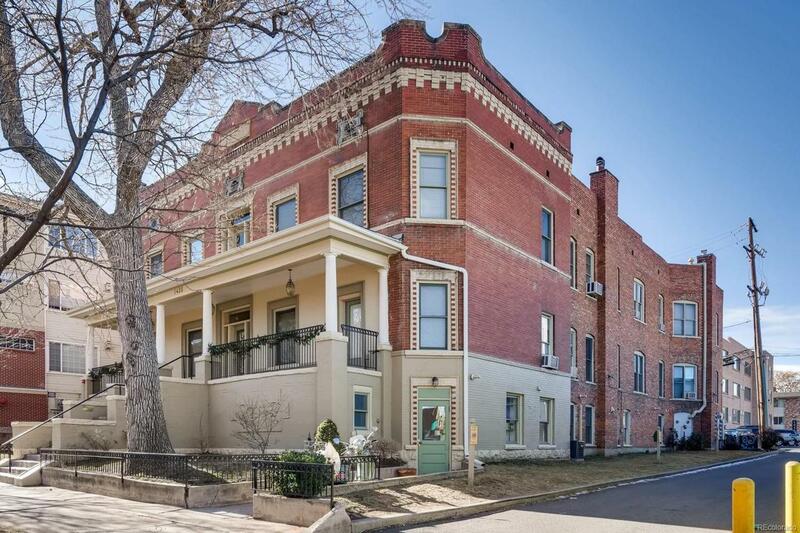 Walking distance to Natural Grocers (110 steps), Cheba Hut, Fillmore, Ogden, Jelly, Thump Coffee, D Bar, Steubens, City o City, Voodoo Doughnut, Marczyk, LoDo, Civic Center Park, Denver Performing Arts, City Park & Cheesman Park!